The activities of the legislature are largely misunderstood by a majority of Nigerians even after twenty years of democratic rule. 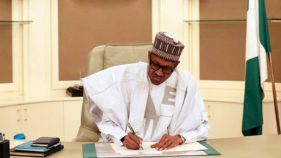 The reason is not farfetched – the incursion of military rule which greatly set the supposed Giant of Africa aback by decades suspended both the constitution and the legislature. They ruled largely by decrees and fused both executive and legislative functions together. It is little wonder that most Nigerians don’t care who their legislative representatives prefer to focus more on those in the executive arm of government. The year 1999 marked the beginning of democratic rule after sixteen years of military interregnum. The constitution posited a bicameral legislature with the Senate as the highest making law body in the clime. There was more than a passing interest by the then executive led by Chief Olusegun Obasanjo to determine who the Senate President will be. Even though the Peoples Democratic Party (PDP) had the majority in the Senate, it was polarized along two broad factions – those who wanted Obasanjo to have his way and the other who preferred the Senators to choose their leader without any executive interference. Baba Iyabo had his way and the late Chief Evan(s) Enwerem was elected as the pioneer Senate President. The News magazine blew up some dirt of him surrounding forgeries and he was subsequently impeached. This paved the way for the Late Dr. Chuba Okadigbo who was the senate’s choice to become the helmsman of the apex law making body. The Oyi of Oyi and Ekwueme of Ogbunike as the charismatic trained political philosopher was fondly called was also impeached for alleged corrupt practices. His apologists contend that it was his independence and resolve not to allow the Senate becomes a mere rubber stamp that led to his downfall. The colourless Anyim Pius Anyim took over from him and he gave Obasanjo some sleepless nights with all attempts to impeaching him hitting a brickwall. Chief Adolphus Wabara was propped up by Obasanjo after ensuring that Anyim didn’t return to the hallowed chambers. He was also impeached by his colleagues and Ken Nnamani took over with his famous declaration that he had thrown away the banana peel. His independence ensured that the third term agenda of Obasanjo was roundly defeated. David Mark had the distinction of being the country’s longest serving Senate President between 2007 and 2015 and was independent to the core. He brought a lot of stability to the system. He was popularly elected by the Senators and played a noble role in ensuring that Goodluck Jonathan became President in 2010 when the cabal were hell bent on ruling the nation by proxy through a dead Umaru Yar’adua. History was made in 2015 when the ruling PDP was defeated by the opposition APC. The APC then penciled down Senator Ahmed Lawan for the Senate Presidency. The current Senate President, Bukola Saraki didn’t take this lying down as he desperately wanted to be the nation’s number three man. 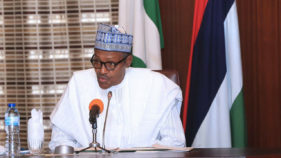 Someone sent out a message which deceived fifty-one of the senators that there would be a meeting with President Muhammadu Buhari at the International Conference Centre. Saraki then exploited this to be elected unopposed with Ike Ekweremadu from the PDP as his deputy. This greatly angered the party as the PDP would never have considered sharing power with their arch rivals. This was betrayal of the highest order and the party did all they could to teach Saraki the lesson of his life. 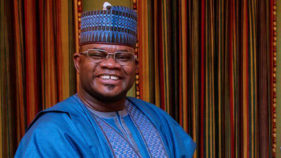 He was hauled before the Code of Conduct Tribunal to answer for some past sins and then 2019 marked his nun dimities in politics as the o to ge movement in his state made mincemeat of his political dynasty by retiring him into oblivion. 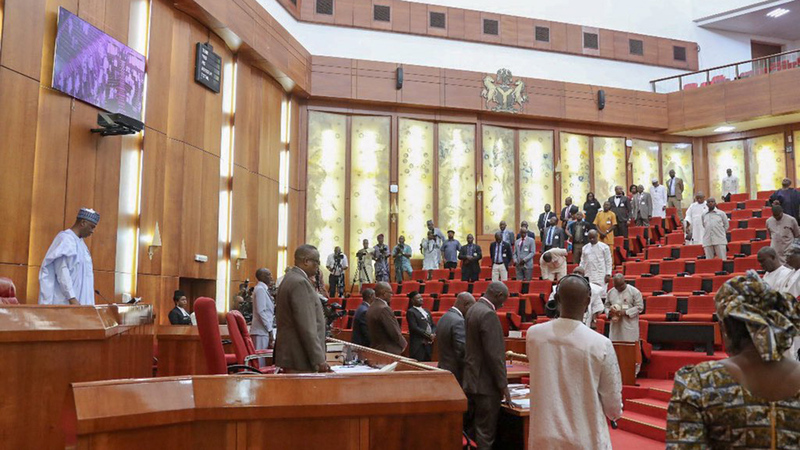 The incoming ninth senate which will be inaugurated in June promises to be full of intrigues as some ranking senators are already jostling for who becomes the Chairman of the National Assembly. The APC has already allegedly adopted Senator Ahmed Lawan as its preferred candidate while Senator Ali Ndume is breathing fire and brimstone that he must contest and has even rolled out his agenda if elected. Some PDP senators are saying that they want to be part of the electoral process and wouldn’t play second fiddle. Remi Tinubu, Teslim Folarin and a host of others are said to be angling for the deputy senate presidency slot as experienced ranking senators. The intrigues and power play is extremely raw. The National Leader, Asiwaju Bola Ahmed Tinubu was quoted to have said that the mistake of 2015 shouldn’t be allowed to repeat itself in reference to the controversial way that saw the emergence of Bukola Saraki. The National Chairman, Adams Oshiomhole has also drummed up support by throwing the party supremacy card to determine who sits on that highly exalted chair. The senate made up of 109 people is the highest representative of the Nigerian people. The populace which is their primary constituency have the real autonomy. There is need to have an independent senate free from the apron strings of both the executive and the party. An independent legislature is one of the beautiful gifts of democracy and it shouldn’t be tampered with no matter the circumstances. When the chips are down, the people have the power to recall their senators and not a party chairman or some national leader whose positions are unknown to the 1999 constitution. It was the same Tinubu that once called for the scrapping of the senate – so much for his much touted democratic ideals. It is tragic that after two decades of unbroken democracy, the hapless common man is being denied the so called dividends of it. It is autocratic for a few men who call themselves party leaders to decide who the nation’s highest elected representative becomes. The people’s representatives should decide without any undue interference from the party and the executive who pull the strings from behind. The voice of the senate is the voice of the masses and this should be reflected in the election of the principal officers. With regards to the senators, the job of the party ends after they secure the flag to run for the respective seats. The party should at this point take a back seat and allow the will of the people to prevail. History has shown that previous attempts to install party backed principal officers have always ended up in a gargantuan fiasco. It will be time wasting not to learn the lessons of history as the consequences usually leave a sour taste in the mouth. Saraki may have had his flaws but he was no stooge of the executive. It will be sad if his successor is a mere rubber stamp. We say a loud nay to any party or executive backed imposition. The intrigues will end in June and we hope the will of the people in having an independent legislature will ultimately prevail.